Does your garden need redesigning? With our garden landscaping Poole services, you can create the garden of your dreams. We have the experience and skills necessary to turn any garden from an overgrown jungle to a tranquil haven. 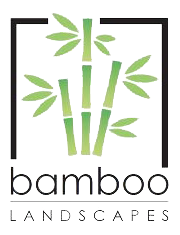 With Bamboo Landscapes, you have complete control over the design of your garden. We have a wide range of materials and schemes for you to choose from to make your garden tailored to you. All work is completed by our highly experienced landscapers who are happy to offer expert advice at every stage of the process. If you are envious when looking at friends’ or neighbours’ gardens, why not let our Poole landscapers help transform your own garden? We will discuss your personal preferences and ideas and incorporate these into a design to suit your garden in Poole. Whether your garden is used for entertaining guests, to relax in, or for the kids to play, our experienced landscapers will ensure your new garden fits this purpose. Professional landscaping leaves you with a well-presented garden that is attractive to potential buyers. For this reason, a properly landscaped garden adds value to your Poole home. When looking for a house, buyers want a property that requires little work, meaning that your property is likely to gain a lot of interest if put on the market. If you do not intend to sell your property, you have the peace of mind knowing that your garden is more environmentally friendly than it was before. When your Poole garden is filled with healthy, flourishing shrubbery, pollutants are filtered out of the rainwater. Additionally, we landscape gardens so that the grass can drain water efficiently. This means that landscaping is a sensible investment if your garden struggles with drainage and water logging. See the results of our previous Poole garden landscaping in our gallery. If you see any ideas you’d like to have in your own garden, feel free to get in touch and we can make it happen. Find out how our landscaping services can transform your garden in Poole by calling 01202 805882. Alternatively, send an email to bamboolandscapes@hotmail.co.uk and we will be happy to help.